We even didn’t manage to twinkle, and it’s already 2019. In the last year, the competition in the smartphone market was quite fierce. The manufacturers were doing their best to bring better features, and this statement refers to all aspects, including the appearance, performance, camera, etc. The latter has become one of the most important factors affecting the customers’ purchasing decision. So we decided to compare four flagship models in order to learn which of them is better in taking photos. Note, all models have been launched in the second half of 2018. So we can say this is a comparison article that will show the best cameraphone in the second half of 2018. 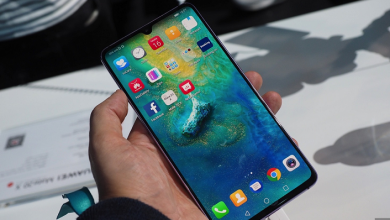 As for this article, we have chosen the Huawei Mate 20 X, Sony Xperia XZ3, Samsung Galaxy Note 9, and the Apple iPhone XS Max. Before we start looking at the actual photo samples and comparing them, let’s get acquainted with the camera parameters of each flagship smartphone. The Huawei Mate 20 X uses a 40MP F/1.8 wide-angle, 20MP F/2.2 super wide-angle, and 8MP F/2.4 color camera combination; the Sony Xperia XZ3 uses a single 19MP Motion Eye camera; the Samsung Galaxy Note 9 uses a 12MP wide-angle F/ 1.5-F/2.4 iris +12MP F/2.4 telephoto camera combination; the iPhone XS Max sports a 12MP F/1.8 wide angle +12MP F/2.4 telephoto camera combination. In terms of normal daytime shooting, the difference in white balance and exposure tendency of the four smartphones is obvious. Say, Sony’s ancestral white balance is red. Samsung’s exposure in this group of samples is a bit unbalanced. The overall darkness of the building in the dark part of the picture is not transparent enough, and it is focused on the clouds. Unexpectedly, Apple’s samples are the most natural in the group of four. Although Huawei has provided the most transparent photos, the overall performance is relatively pale. Most of the users don’t use the zooming feature of their smartphones frequently. But when bringing a new model to the market, every smartphone maker tries to point out the selling points of their handsets. In this sense, in 2018, many smartphone manufacturers were emphasizing the zooming parameters of their flagship phones. When comparing the three times zooming, Huawei’s proofs are a bit whiter and less pleasing to the eye. However, the quality of the hardware is still noticeable. Moreover, in terms of clarity, the Huawei Mate 20 X forces the other three. Samsung has a slight sharpening to make its clarity ahead of Apple. As for Sony, because it has a single camera module, the phone is doing its best. But is it enough? Since Sony does not have a portrait mode by default, in the daytime portrait, we can only compare the performance of the other three. In fact, Apple is still the obvious leader. Its sinuous form of gradual blurring makes its samples more natural in ambiguity. Samsung and Huawei provide quite accurate details of background when zooming. But when it comes to the main (in focus) object, Samsung is obviously weaker than the other two. On the contrary, Huawei’s samples are more natural. Among the three, Apple’s imaging color is the most eye-catching, but there is more obvious glare on the hair. For Samsung and Huawei, although there are slight rollovers on both sides, Samsung still has to lead Huawei in the details. The samples clearly show Apple takes more real samples, while the Sony Xperia XZ3 doesn’t understand what kind of selfies users want. As for the other two handsets, Samsung and Huawei have adopted the beauty in the front-end imaging. Low light shooting is one of the key tests when we want to know the actual shooting performance of a smartphone. In this sense, aside from the white balance, the details of Sony have been smeared after zooming in. Though Huawei comes with a larger sensor, the sample did not record more details. As far as the details are concerned, Samsung and Apple are the best. Among them, Samsung looks amazing due to the brighter shots, while Apple stands out due to the sharper details. It should be noted that Samsung’s F/1.5-F/2.4 variable aperture makes it a clear advantage in low-light imaging. In terms of zooming in, Sony has a more obvious highlight overflow, and Samsung has less details. The traces of Huawei’s sharpening are obvious. In addition, although Apple has a slight noise, the perception is quite comfortable among the four. Huawei’s high-light suppression is still unique with sharp marks, and Samsung and Sony are a little bit powerless. When comparing all the samples and conclusions, we can say the iPhone XS Max that costs the most yields all three Android phones. Huawei’s standard color and Leica color camera sensors differ a lot. Samsung beauty is a bit powerful. As for Sony, although we know that there is no dual-camera, the imaging should be a little different from Xperia XZ2P. But this performance is somewhat disappointing, and many problems are common for Sony phones. In the daytime 1080P 30fps video shooting, Apple and Samsung are better than the other two in terms of details, while in terms of focal length, Apple and Sony are more dominant. Due to the absence of optical image stabilization, the picture jitter of Huawei and Sony is relatively more obvious. But if we choose one from these two, Huawei will be relatively more stable. Secondly, in the daytime 1080P 60fps video shooting, we can find Apple and Samsung have the same stability. As for Huawei and Sony, in the absence of optical image stabilization, the picture jitter is more obvious than the other two. But in the latter two, Huawei is still more stable than Sony. In the night 1080p 30fps video shooting, it can be seen that Sony’s ancestral white balance redness will still appear. In addition, the dark part is almost completely invisible. However, the highlights are retained a lot, and there is no optical anti-shake option. That’s why the details of the picture always have some jitter. For Huawei and Samsung, there were overexposures in the highlights. Samsung’s white balance was green, and Huawei’s details were deteriorated. From the overall performance here, Apple is better.